Here is what we have at the Australian Costco Food Court, roughly 10 hours flying time from Oahu. 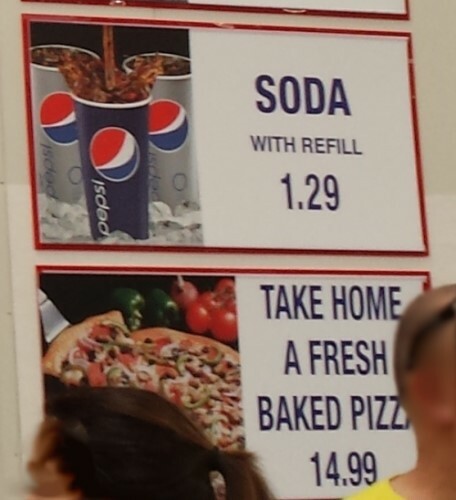 Important note – Costco Australia has recently switched over to Pepsi branded drinks – on our last visit a couple of months ago everything was Coca Cola. This greatly pleases The Other Half as he prefers Solo as the drink. I also prefer Solo, Sunkist or Pepsi when it comes to post-mix drinks, I find those a lot less sugary than Coca-Cola. Our visit to Costco is one rare occasion where I will drink flavoured soda drinks rather than plain mineral or soda water. I always get the Combo pizza these days. This is because if I do not get it, I find myself deeply wishing I had got it on the way home. The ground beef on this pizza is seriously awesome. 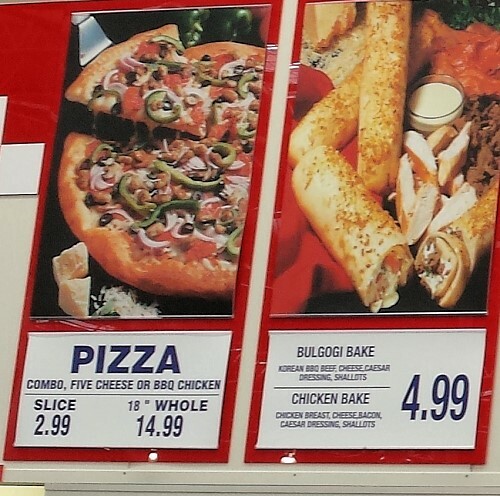 I have tried the chicken bake and it was pretty amazing but not *as* amazing as the Combo pizza. 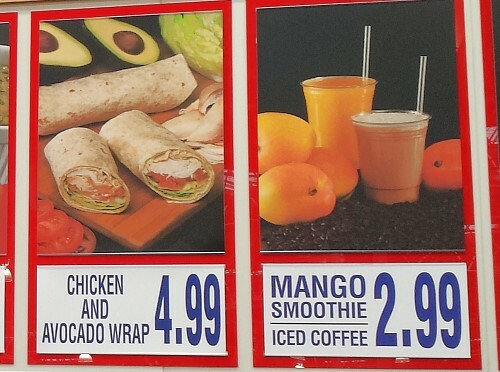 The chicken and avocado wrap is seriously delicious and fresh. I’ve had that before a few times and loved it. I have not tried the mango smoothie or the iced coffee but a lot of people were getting the smoothie and they seemed to be enjoying it. 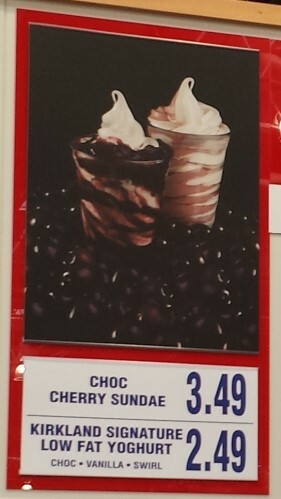 A lot of people were getting the chocolate cherry thing, and that looked awesome as well. Churro, ew. 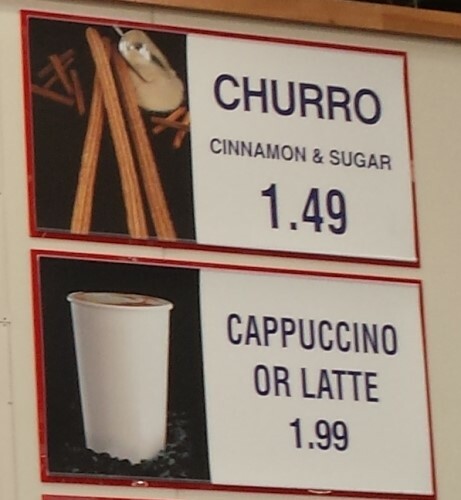 If this is what churros are supposed to be like, you can count me out. Not a fan, at all. But people constantly buy them, so they must like them. Maybe it is just me! The coffees are made by a machine and beware, they are very, very hot. If you are getting a “soda” as well, you might want to put ice in your cup and then take one or two pieces out to put in your coffee. No joke. I deeply wish we had brought home a pizza now because I have a huge craving for a combo slice writing this post. 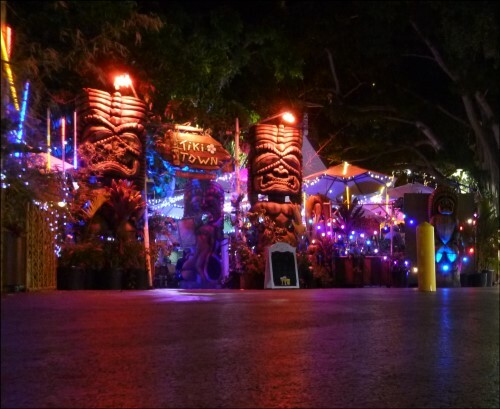 Also, you might want to check out this great post – Costco Made in Hawaii Eats – we used this as a guide to what we wanted to buy at our visit to Costco on our last Hawaii trip and it was great. 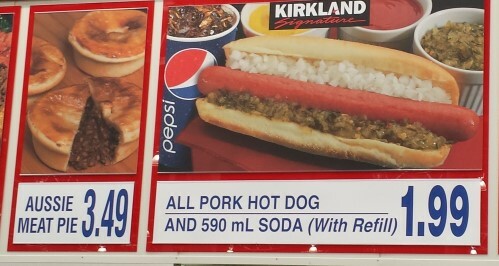 What do you eat @ the Costco Food Court? The Final Costco Post This Trip.